I now sell nine (9) history maps. All of them were researched and hand drawn by Perry C. VanArsdale. The maps are: A Map History Of American Indian Tribes; the United States divided into 3 parts - Northwest, Southwest, East/South; and the individual states of Illinois, Texas, Colorado, Arizona, and New Mexico. Each map description is followed by 2 images of that map - the first one shows the complete map and the second shows a close-up segment of that map. Maps come rolled and wrapped in a plastic tube. They are NOT matted or framed as in the photos. Please go to my "STORE" page if you would like to purchase any of these maps. 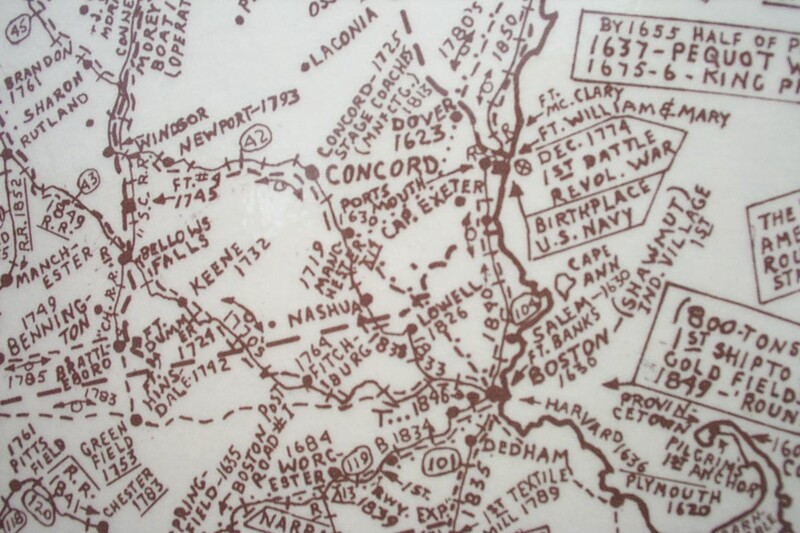 This fabulous 44" x 29" map was compiled by Perry C. VanArsdale and copyrighted in 1972. It is a two color poster. Items written in black are U.S. military establishments and fur trading posts (including dates they were in operation). City and state names are also written in black. Items written in red deal with the American Indian tribes. The map shows how various tribes migrated from one area of the U.S. to another in the pre-reservation period of U.S. history. It also shows some of the favorite hunting areas of some tribes and areas of major battles with other Indian tribes and with the whites. The map also contains numerous historical 'tidbits' about the American Indians. If you enjoy studying about the American Indians, you are going to have to get one of these!! This map covers the entire states of Washington, Oregon, Idaho, Montana, Wyoming, North Dakota, South Dakota, Minnesota, Iowa, and Wisconsin; and includes the Northern parts of Illinois, Nebraska, Colorado, Utah, Nevada, and California. It covers the time period of 1800 and later. 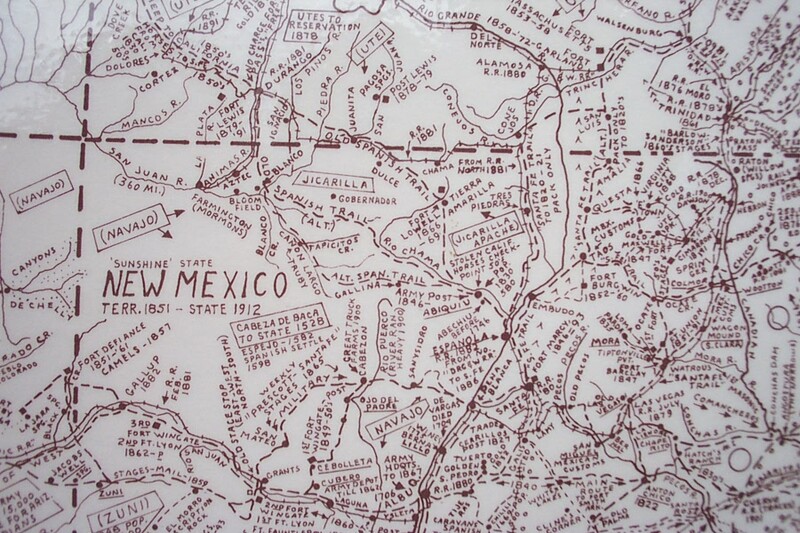 The map includes names and locations of emigrant/overland trails, cattle trails, stage lines, railroads, military forts (years of operation), mining areas, towns, roads, telegraph lines, and home and hunting areas (pre-reservation period) of Native Americans. The map also contains numerous historical ‘tidbits’. This map covers the entire states of Arizona, New Mexico, Texas, Oklahoma, Kansas, Missouri, Arkansas, and Louisiana; and includes the Southern parts of Illinois, Nebraska, Colorado, Utah, Nevada, and California. It covers the time period of 1800 and later. The map includes names and locations of emigrant/overland trails, cattle trails, stage lines, railroads, military forts (years of operation), towns, roads, telegraph lines, and home and hunting areas (pre-reservation period) of Native Americans. The map also contains numerous historical ‘tidbits’. ** The NORTHWEST and SOUTHWEST maps can be overlaid on top of each other to form one large map of the Western United States. This map covers the Eastern United States to the Mississippi River (plus a short distance West of the river). It covers a time period from the 1500’s through the 1800’s. 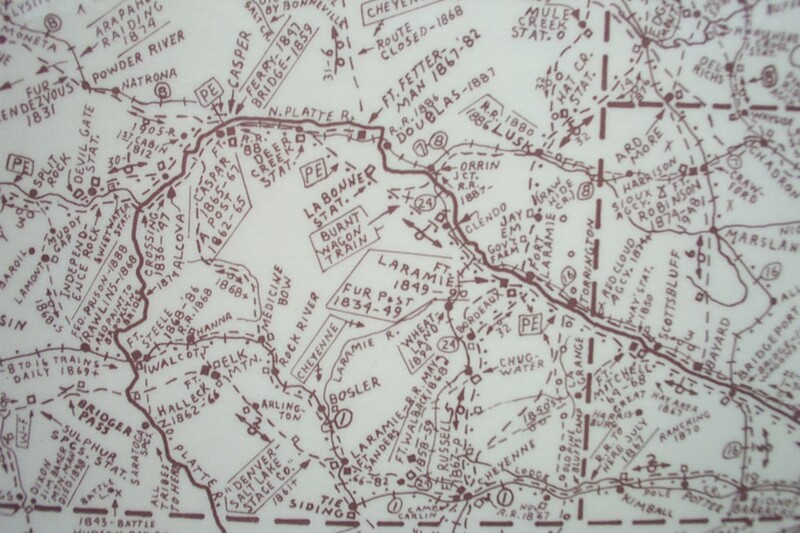 The map includes names and locations of railroads, stage lines, canals, overland roads, military forts (years of operation), and towns. It also includes the names and locations of Native American tribes during the pre-reservation period and locations of the present-day reservations (as of the year1968). The map also contains numerous historical ‘tidbits’. This map is only the state of Illinois. It contains information dating from before Illinois became a state. The map includes names and locations of emigrant/overland trails, cattle trails, stage lines, railroads, military forts (years of operation), towns, roads, telegraph lines, home and hunting areas (pre-reservation period) of Native Americans, and so much more. The map also contains numerous historical 'tidbits'. This map is only the state of Texas. It contains information dating from before Texas became a state. The map includes names and locations of emigrant/overland trails, cattle trails, stage lines, railroads, military forts (years of operation), towns, roads, telegraph lines, home and hunting areas (pre-reservation period) of Native Americans, and so much more. The map also contains numerous historical 'tidbits'. This map is only the state of Colorado. It contains information dating from before Colorado became a state. The map includes names and locations of emigrant/overland trails, cattle trails, stage lines, railroads, military forts (years of operation), towns, roads, telegraph lines, home and hunting areas (pre-reservation period) of Native Americans, and so much more. The map also contains numerous historical 'tidbits'. This map is only the state of Arizona. It contains informations dating from before Arizona became a state. The map includes names and locations of emigrant/overland trails, cattle trails, stage lines, railroads, military forts (years of operation), towns, roads, telegraph lines, home and hunting areas (pre-reservation period) of Native Americans, and so much more. The map also contains numerous historical 'tidbits'. This map is only the state of New Mexico. It contains informations dating from before New Mexico became a state. The map includes names and locations of emigrant/overland trails, cattle trails, stage lines, railroads, military forts (years of operation), towns, roads, telegraph lines, home and hunting areas (pre-reservation period) of Native Americans, and so much more. The map also contains numerous historical 'tidbits'. To order, please click on the STORE link at the top of this page.